First I picked some fresh sage from the garden (hint – rosemary works really well for this too) and roughly chopped it. Then I minced 2 cloves of garlic. Next I put a bit of olive oil in a saute pan, added the sage and garlic and gently warmed it all. Once the garlic was soft I added the beans and a splash of white wine (totally optional) to the pan and cranked the heat. 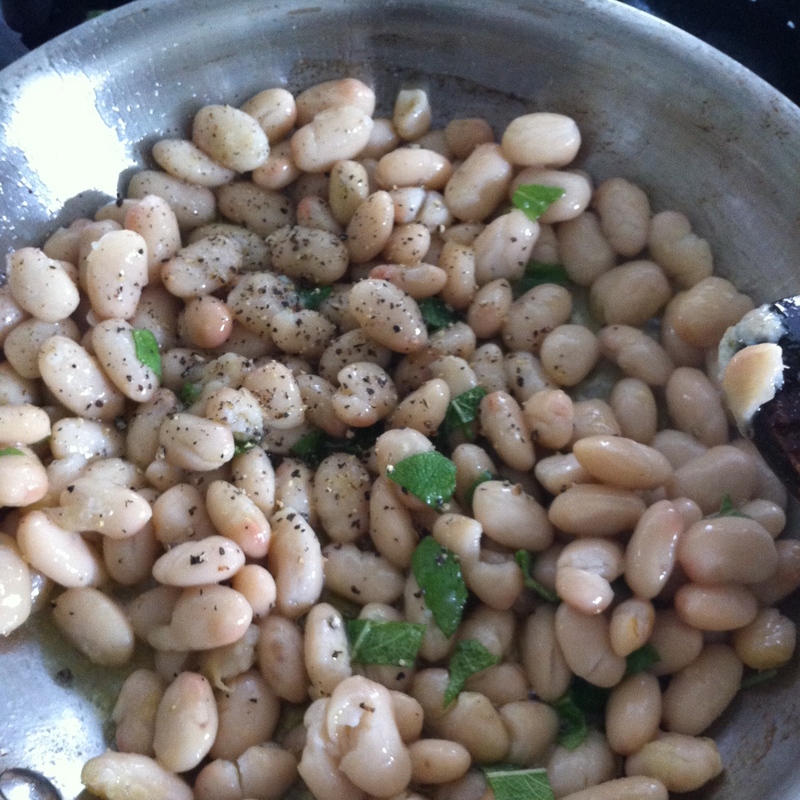 I cooked them until the beans mushed up a bit and some of them got nice and crunchy. Then I added a bit of salt and freshly ground pepper, threw on some toasted pumpkin seeds and tucked in. Really. That’s all. I’ve had variations of this for breakfast, lunch and dinner. 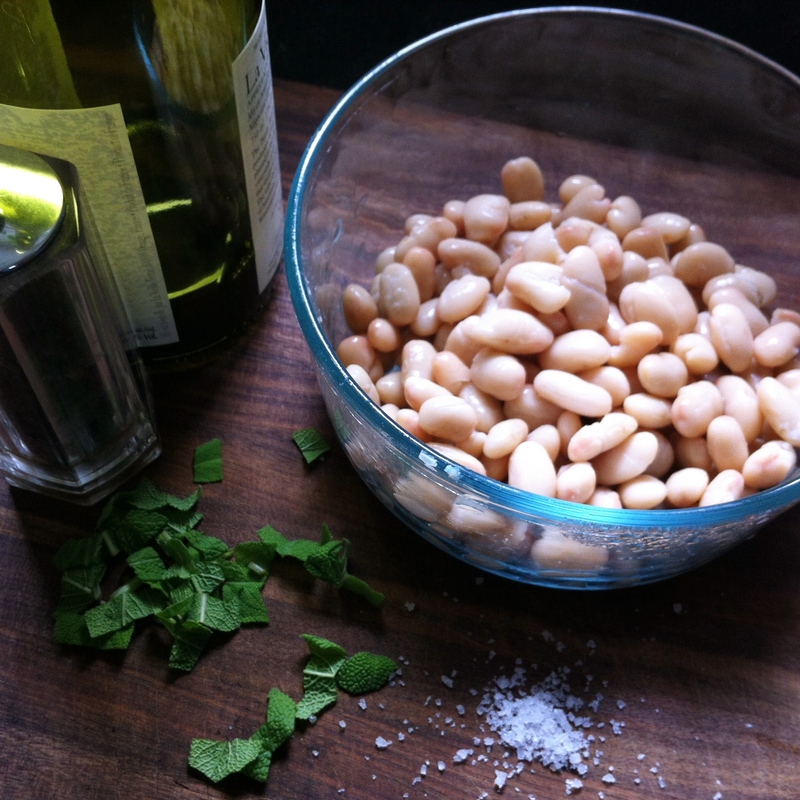 Simple all on it’s own, it works just as well as an easy side dish or with a large fresh green salad. So next time you’re tempted not to eat lunch, take a few minutes and give yourself some nourishment. Now get out there and live. 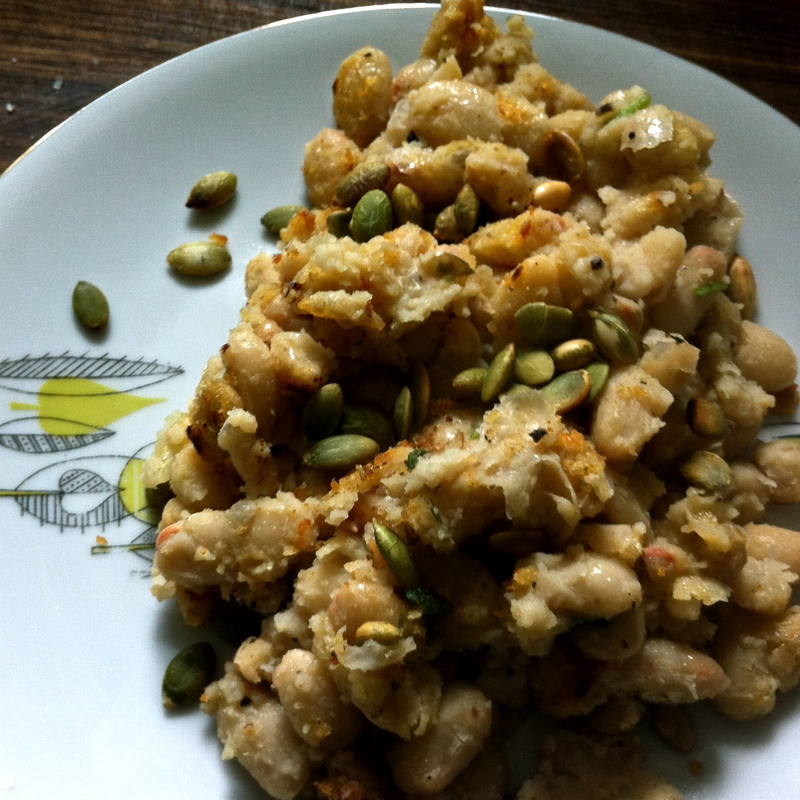 This entry was posted in Beans, Cooking, Food, Herbs, Lunch, Recipe, Vegetarian and tagged cannellini beans, olive oil, pumpkin seeds, rosemary, sage, sea salt, white wine by mostlynoodles. Bookmark the permalink. Yum I love this stuff.